Interested in Finance, Economics and Property? Establish your career in today's global business landscape with an innovative degree in property, real estate practice, finance or economics and trade at the UniSA Business School. Develop expertise in critical and strategic thinking within a highly-regulated industry framework and strengthen your research skills, under the guidance of experienced research professionals. Equipping you with the knowledge and skills to apply logical and creative solutions to business problems in a global market environment, our qualifications prepare you to make informed decisions and offer practical advice in your respective industry. Our internship, mentoring or global experience opportunities provide you with rare industry insight and valuable networking opportunities. 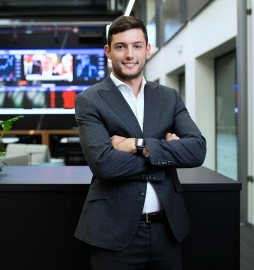 Offering the longest-running specialised property degree in Australia, and the longest established finance degree of its kind in South Australia. Finance students can access our state-of-the-art IRESS Finance Trading Room on campus, which includes a market data feed and financial analysis tools - the same technology used by the world's leading banks and investment firms. Property students can engage with industry through a number of networking events. 1UniSA Business School is one of just nine institutions in Australia and 180 globally to be accredited by EQUIS (from over 16,500 worldwide). EFMD, February 2019. 2QILT: Graduate Outcomes Survey 2016-18 – Full-time Employment Indicator (Undergraduate). Public SA-founded universities only. Our strong real-world connections mean you can learn from researchers recognised as performing world standard in Applied Economics2. UniSA is in the top 150 institutions in the world for Accounting and Finance3, our Business School is in the top one per cent worldwide4 and we have been awarded an overall five stars for excellence in the QS Stars Ratings 2019. 1QILT: Graduate Outcomes Survey 2016-18 – Full-time Employment Indicator (Undergraduate). Public SA-founded universities only. 22015 Excellence in Research for Australia (ERA). 32018 QS Subject Rankings. 4 UniSA Business School is one of just nine institutions in Australia and 180 globally to be accredited by EQUIS (from over 16,500 worldwide). EFMD, February 2019. In property, employment in the property and real estate profession in Australia is expected to grow between now and 2020. The availability of roles is expected to increase by 9,900 jobs for real estate agents (or 11.2 per cent)2. In the 2015 Excellence in Research for Australia (ERA) rankings, our research in applied economics was assessed as world-class. We have strong links, individually and collectively, with leading and like-minded research institutions in North America, Europe and the UK and are building equally exciting new relationships in Asia.